With a winning smile, it's all within your reach. In life, there's no doubt that a beautiful smile can go a long way. When you're not afraid to smile, anything and everything is within your reach! Westchester cosmetic dentist, Dr. Bradley Matthew, DDS, MICOI, and the South Bay Smiles team strive to preserve, restore and craft beautiful smiles. Advances in cosmetic dentistry allow patients to achieve natural looking results with ease. Many dentists practice cosmetic dentistry as a secondary focus but at South Bay Smiles it is our specialty. We work with children and adults to help you achieve and maintain the smile you have always dreamt of having. Cosmetic dentistry has the power to improve any person's life by enhancing the appearance of their smile and consequently their self-confidence. Imagine looking in the mirror and seeing the smile of your dreams. We can help you smile without feeling self-conscious about crooked, yellow or chipped teeth. Dr. Matthew, DDS, MICOI and the South Bay Smiles staff have expertise with cosmetic procedures and have the skill to craft your winning smile! "Serious Smile Care for a Better Life Quality"
That's our philosophy and the basis of our approach to personal dental care at South Bay Smiles. Let us help you restore your smile and boost your self-confidence so life gets even better! We provide cosmetic dental services to patients throughout Los Angeles, Marina Del Rey, Culver City, Santa Monica, Manhattan Beach, Hawthorne, Ladera Heights, Westchester, Playa Del Rey, Venice, El Segundo, Inglewood, Redondo Beach, and Hermosa Beach, California. What is cosmetic dentistry? Good question! Learn more about Westchester cosmetic dentistry by clicking here! 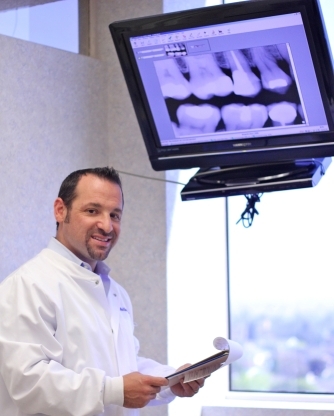 Contact Dr. Matthew, DDS, MICOI's cosmetic dentistry at South Bay Smiles today!